Gimpad is formerly known as Gimphoto Desktop. Gimpad is rewritten from scratch to use different and better approach to integrate Gimphoto's scattered windows and also improve it's adaptation with Gimphoto window behaviors. Gimpad 1.1 is tested under Windows 2000 and Windows XP. I have a problem with GimPad 1.1: I can't quit from that under Windows Vista Business Edition. sorry, i don't have Vista so GimPad only tested under Windows 2000 and Windows XP. Vista changes a lot of WinAPI and GimPad depends a lot on WinAPI. I've a problem: when i start Gimpad, i get the error "failed to run gimphoto" (yes, gimphoto, not gimpad). I just installed Gimp, and executed it. Then i quit, installed Gimppad and the error show up. Does Gimppad need some variables? How can i debug? what error you got? Already install GimPhoto? try to run GimPhoto without GimPad, is GimPhoto running? GimPad only working with GimPhoto. please be more specific about the bugs that happened to you so i can fix it, thank you. gimpad.exe still working after pressing close button on window (consuming 50% of cpu, I have dual core CPU so it looks like process' using 100% of one core). Menu of window is still accessible and responding (just opened About dialog). Also excessive cpu usage was seen just after application start, BEFORE I tried to close window. sorry but for now i can't support Vista because i don't have Vista, thank's for your info. try to exit using menu, i will contact you for better info about the bugs, thank's. I'm also having the problem of closing GimPad - XPSP2. Followed your instructions for installation. PS: Just want to say how much I appreciate your work on Gimphoto - it's great for photo editing, which is all I'm really interested in, and seems to process much faster than Gimp (not knocking Gimp, just saying...). 1. GimPhoto and GimPad CAN NOT be installed side-by-side with GIMP. 3. GimPad will into much trouble if "Transients Windows" feature is ON (this a "Always on Top" feature that usually used by GIMP), so DISABLED it because GimPad that will take care "Always on Top feature". Great program(s)! Works really well. Thanks! This looks like a nice program but I do not want to completely uinstall theGimp just so I can have a photoshop look a like. Another program that doesn't work under Vista, I stopped using Gimp because you can't minimise it. maybe you can be more specific about your GimPhoto/GimPad error under Vista? because one of GimPhoto user, Igor Khavkin can use it under Vista without problem. I can't be 100% sure but the plugins always use to lock up, stop responding etc. I use Windows 7 now and paint does everything I need so i am happy with that. When the plugins stopped responding when you went to launch the gimp application it use to takes quiet some time to close it all down. 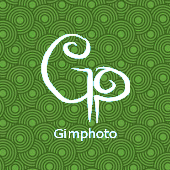 i already tested Gimphoto with Gimpad using Windows 7 without any problems. the most common problems is the old GIMP settings that remain on user settings folder even after uninstalling GIMP and also Vista/Win7 UAC. if sometimes you need Gimphoto, i suggest you try Gimphoto Portable.